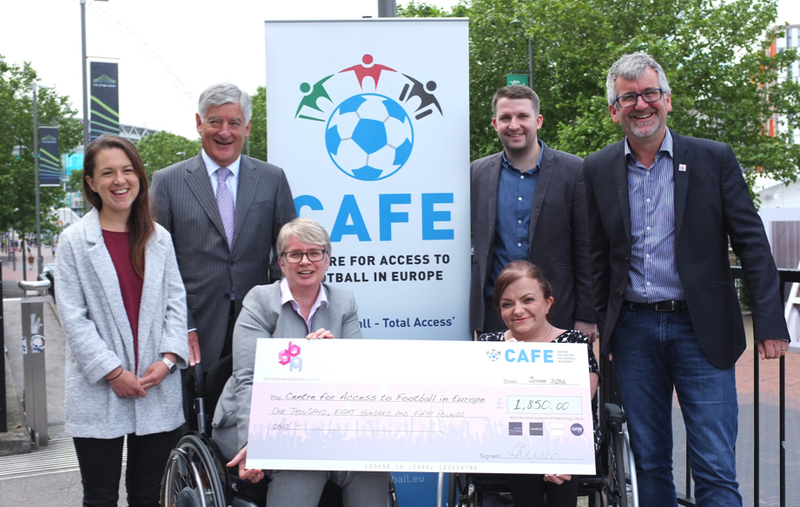 It’s one of the nicest parts of our jobs being in a position to help make a difference, so it was a pleasure to travel to the CAFE head offices today to present a cheque! Meeting with Joyce Cook OBE, David Bernstein CBE, Michael Rice and the CAFE team, a giant cheque was presented for almost £2,000. As well as passing on the funds raised in Madrid it gave us a chance to catch up on the charity’s recent Award win – Industry Partner of the Year. Joyce commented on how the award has provided CAFE with some much needed awareness amongst peers, particularly those present on the night and how they “feel very honoured and so appreciate the recognition for CAFE and our works”. Well done to the Xperiology team for your hard work, and also thanks to MANICA Architecture, Cedar Packaging, Rewind.com and One Digital for their various contributions and donations to the cause.